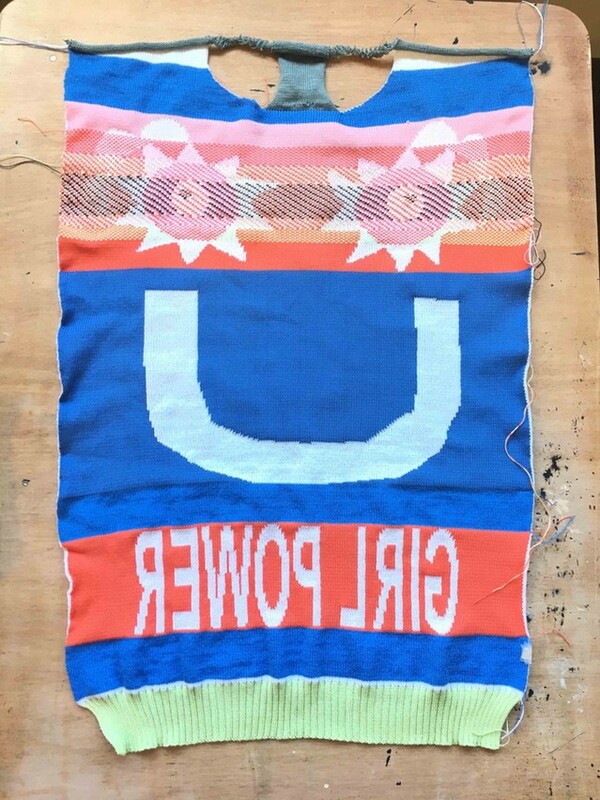 Designer Lindsay Degen began creating her quirky knits at the age of three when her grandmother gave her a set of knitting needles and taught her how to stitch. In pursuit of mastering her skill set, Lindsay attended the Rhode Island School of Design as well as Central Saint Martins in London. 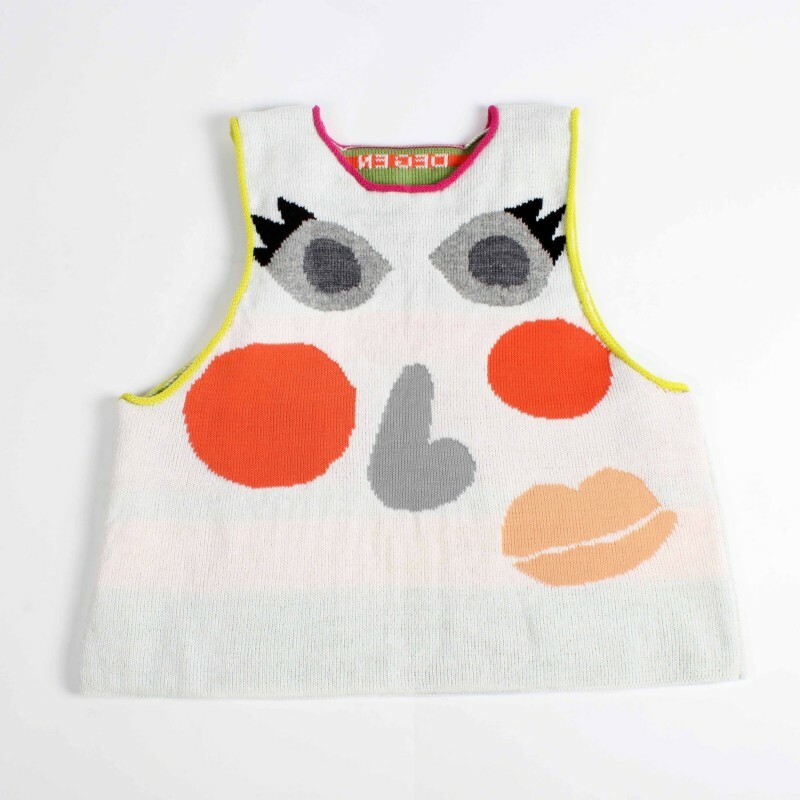 After graduating Degen moved to New York City to create her crafty, concept-based collections under the namesake DEGEN. This is the first look coming out of our collaboration with DEGEN. The tank top and shorts were all made with Kniterate. 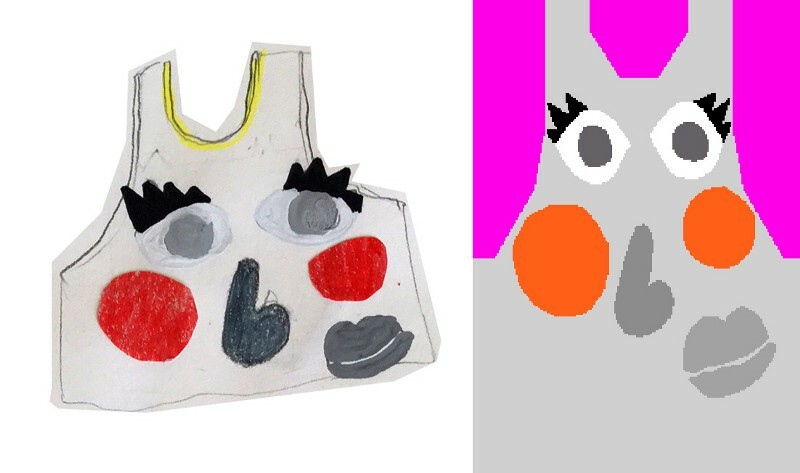 Based on an initial sketch (left) DEGEN created a digital image (right) for us to work with. Our custom software turned this into machine instructions. After five hours Kniterate had created the garment pieces. A back panel and front panel fully fashioned and ready to be linked. 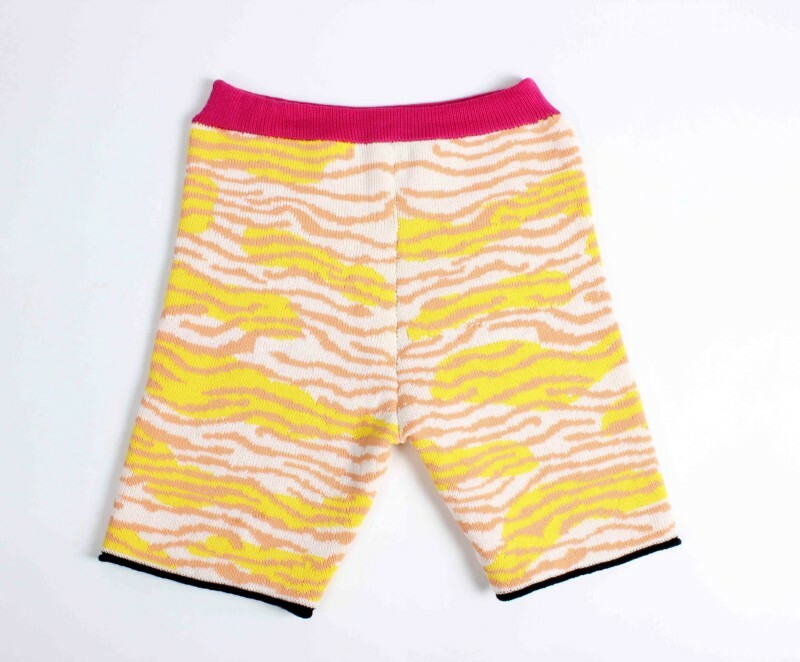 This same process was carried out to create the camouflaged zebra shorts below. Below the second look coming out of this collaboration. 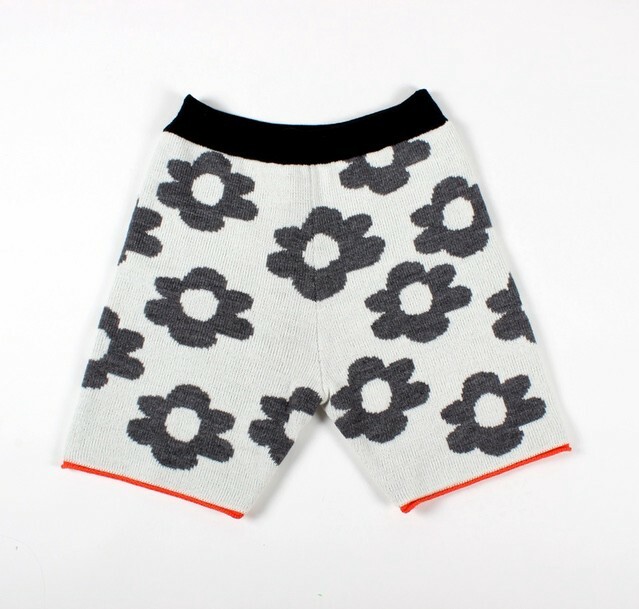 Jumper and shorts were all made with Kniterate following the same process as the first look. 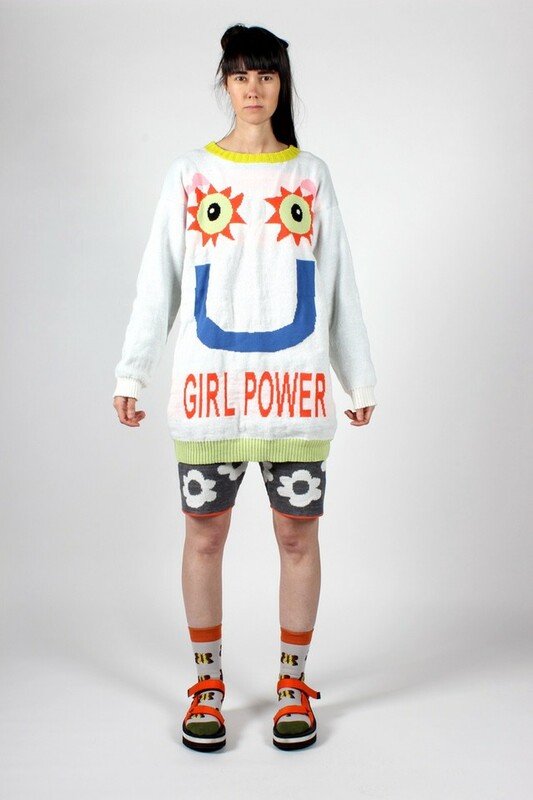 Girl Power Sweater with Flower Shorts. Designed by DEGEN and produced with Kniterate. We’d like to thank Lindsay for letting Kniterate be part of her creative process. We had lots of fun and learned a lot working with her! 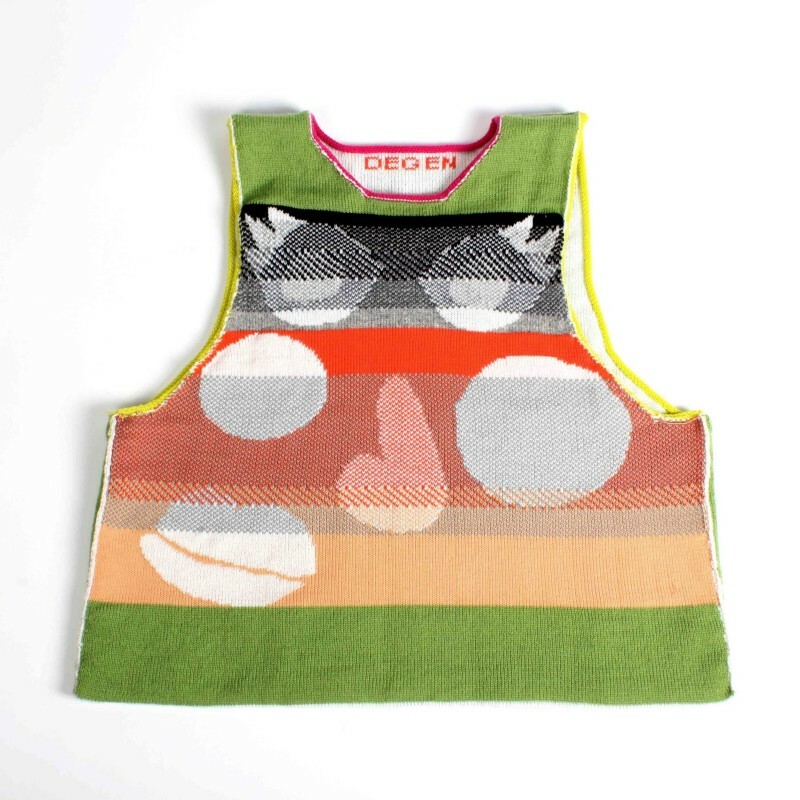 Discover more of her amazing work at degen.us and babyDEGEN.